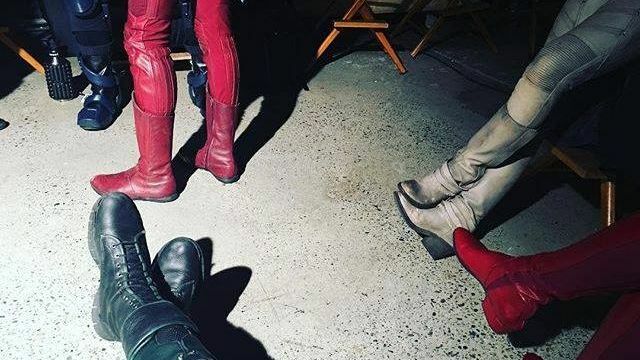 The Green Arrow himself Stephen Amell shared a candid photo this weekend featuring all of The CW superheroes together. The heroes featured in the photo include Green Arrow (Stephen Amell), The Flash (Grant Gustin), Supergirl (Melissa Benoist), White Canary (Caity Lotz), and The Atom (Brandon Routh). Whether they’re filming a full-on crossover for one of the episodes, or simply a new promo for the network, remains to be seen; but you can check it out below! The original Flash and Arrow crossover episode saw the teams going up against Rainbow Raider and then Captain Boomerang across two episodes with last year’s crossover setting up DC’s Legends of Tomorrow by introducing Vandal Savage, Hawkman, and Hawkgirl. 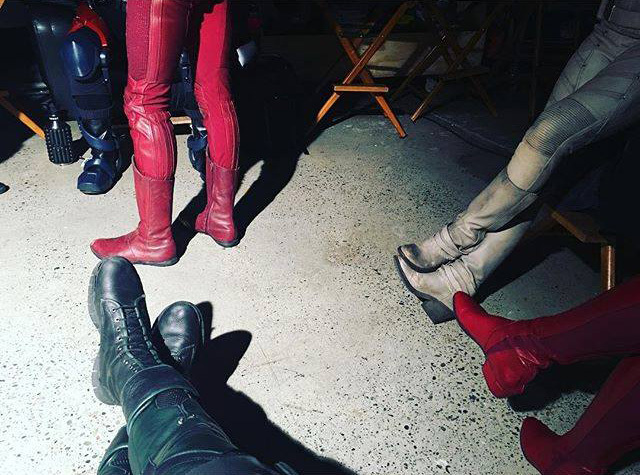 Who do you think the heroes should all fight in the four-way crossover? Sound off below. The Flash will premiere on The CW on Tuesday, October 4 with Arrow on Wednesday, October 5, Supergirl on Monday, October 10, and DC’s Legends of Tomorrow on Thursday, October 13.